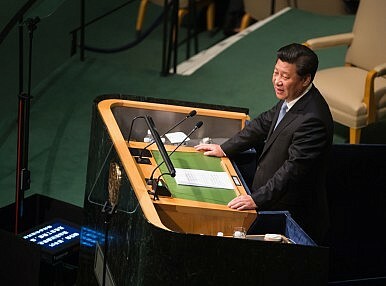 Xi Jinping is the gift that keeps on giving. Scarcely a week goes by in which he does not announce a new policy initiative or adopt some measure that reverberates around the world. I often find myself skimming the news anxiously to see “What has Xi Jinping done today?” Yet, increasingly, I find myself asking, not “what” but rather “why” he is doing what he is doing. This past week, the government released two policies (or re-released depending on your perspective): first, no foreign entity can independently publish anything online in China, and second, all the work of the Party’s media must protect and act on behalf of the Party. These, of course, are only the latest in a series of moves by the Xi leadership to restrict the range of information the Chinese people (and the outside world) can access and the range of independent thinking they can voice. What is behind Xi’s moves? Some outside observers have argued that a degree of political repression is necessary to push forward on economic reform. If you don’t think too deeply about this argument, it almost makes sense: Too many disparate voices can muddy the message and delay implementation. However, the development of a market economy relies on transparency and access to information—not to mention the rule of law—in order to function efficiently and develop the necessary trust among economic actors. In addition, as my friend Minxin Pei has written, the current leadership is prosecuting the anti-corruption campaign without transparency and the rule of law, leaving a trail of paranoia and paralysis in its wake and inculcating a culture of fear. Business deals are hampered, and reform efforts stall. Xi’s political objectives also appear ill-served by the crackdown. Placing your best and brightest in ever smaller boxes and limiting the ease with which they engage with the outside world will do little to enhance their creativity and ability to innovate. Advancing China’s soft power—another Xi priority—is also at risk. Political repression makes living and working in (not to mention emulating) China less likely and has already alienated citizens of Hong Kong and Taiwan. As one Chinese scholar recently noted in discussing Taiwan at a conference, China dominates Taiwan militarily and economically, but it is not winning the hearts and minds of the Taiwanese people. In fact, he noted, it is not winning the hearts and minds of people anywhere. What, then, does Xi want? Xi wants to construct his own political reality. Perhaps it is as David Bandurski put it: Xi wants a mirror that only reflects back what he wants to see, not reality. Alternatively, perhaps Xi sees reality but he is worried that if others see it, there will be growing doubt about the leadership’s capabilities, even more capital flight, and greater social unrest. He might be right. But if this leadership has learned anything from its recent engagement with the Chinese people on air pollution, it should be that no matter the official claims, the Chinese people recognize when the sky is blue and when it isn’t. Elizabeth C. Economy is C.V. Starr Senior Fellow and Director for Asia Studies at the Council on Foreign Relations. She is an expert on Chinese domestic and foreign policy and U.S.-China relations and author of the award-winning book, The River Runs Black: The Environmental Challenge to China’s Future. This post appears courtesy of CFR.org and Forbes Asia.